Have fun and an a huge dose of adventure. Surround yourself with amazing backgrounds and views. Adults can drive alone a quad if they want. Children must accompany an adult in a double ATV. Individual ATV price is for only one passengers per quad. ATV for two riders. Price per person. This fun adventure starts at Hotel La Pradera facilities where a guide will explain you how to drive your quad and other safety recommendations in order to have a great time. As the wind tousle your hair and adrenaline presses your chest, magnificent Arenal Volcano will be the judge who will decide which racer was the wildest one. 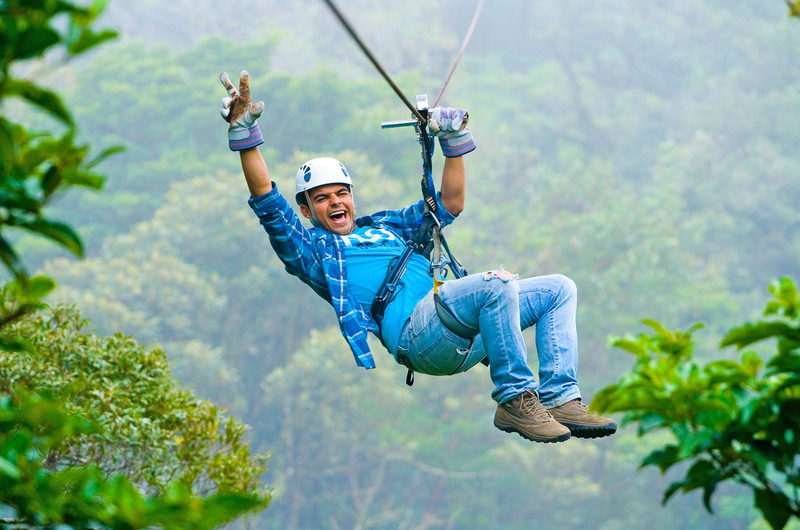 You’ll know La Fortuna’s vegetation and fields like never before. La Pradera ATV promises to give you tons of smiles, fun, laughs and adrenaline full-filled memories. During the route you’ll make a stop to have snack. Once you had shared some of your amazing feats with your adventure mates, tour will continue to Arenal River through La Guaria town. Finally, after a three hours journey you’ll be back at the base where you can get ready for lunch or dinner. Kids of 3 yrs. old and under do not pay. Kids of 15 yrs. and under aren’t accepted as ATV drivers, only as companion.